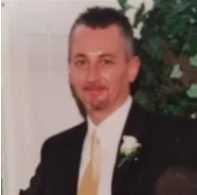 Jeffrey Scott Overstreet, 50, of Orlando, Florida passed away Wednesday, February 6, 2019. He was born on June 27, 1968 in Danville, Kentucky. Jeff is survived by his wife, Catrina A. Overstreet; mother, Rosetta France; father, Don Overstreet; brother, Rodney Overstreet (wife, Debbie); and Niece, Amanda Bartholomew (husband, Adam); sons Gunner &amp; Maddox and maternal grandmother, Jewell Richardson.